New Delhi:Nine CRPF personnel were today killed after Maoists blasted their mine protected vehicle using over 50 kgs of explosives in Chhattisgarh’s Sukma, about a year after a dozen jawans were killed in a similar ambush in the district.Officials said the incident took place around 12:30 pm along the 5-km under-construction Kistaram-Palodi road when the troops of the 212th battalion of the Central Reserve Police Force (CRPF) were out for an operation. Home Minister Rajnath Singh said the incident was “deeply distressing” and asked CRPF Director General R R Bhatnagar to rush to Chhattisgarh.”My heartfelt condolences to the families of those personnel who lost their lives in Sukma blast. 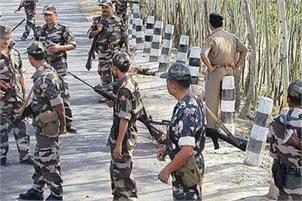 I pray for the speedy recovery of the injured jawans,” he said. The home minister spoke to Chhattisgarh Chief Minister Raman Singh who briefed him about the incident, steps taken for the jawans’ treatment and operations to nab those involved. The armoured MPV had gone about 10-feet into the air and crashed on the ground before splitting into pieces. All the personnel were killed due to the impact of the blast even as many were thrown out of the vehicle, officials said. “The troops who came under attack were travelling in the MPV and going towards a newly-opened post in Palodi. Naxals were first spotted in the area around 8 am and the CoBRA teams effectively retaliated and broke the ambush. “However, when a convoy of motorcycles and 2 MPVs were crossing the area in the noon, the second mine protected vehicle got caught in the blast,” Bhatnagar told PTI in Delhi. He had returned from the state only this morning after conducting an official tour. When asked why MPVs were being used despite their vulnerability in Naxal areas, the DG said they were used sparingly and that they had not been abandoned completely for use in operations. Officials said nine men were killed while two other jawans are injured after the armoured vehicle was blown up using over 50 kgs of improvised explosive devices (IEDs) concealed under the track that joins Kistaram to Palodi, a senior official said.